LONDON/CARACAS (Reuters) - Investors holding billions of dollars in defaulted Venezuelan bonds have formed at least one bondholder committee that is seeking a financial adviser, according to several sources familiar with the matter, in a sign they may be gearing up for a legal dispute. President Nicolas Maduro’s government began quietly halting interest payments on some $50 billion in publicly traded debt last year in an effort to save hard currency for the collapsing socialist economy, which is suffering from hyperinflation. Investors have been slow to move against Venezuela and its state oil company, PDVSA, in part because Maduro has shown no signs of advancing the kind of reforms - including an overhaul of the oil industry - needed to restore economic stability. The committee that is close to naming an adviser recently met in London and will meet again this week in Washington, possibly as early as Wednesday, the sources said. The creditors “want to be ready to be part of getting that sorted out,” the source said. Another source said investment bank Houlihan Lokey Inc (HLI.N) is the front-runner for the financial adviser job but a decision is not yet final. Houlihan Lokey did not immediately respond to a request for comment. Another source, meanwhile, said other creditors had formed at least one other committee. The formation of the committees and appointment of advisers could signal investors are marshaling forces for an eventual legal dispute with Venezuela - a move known as an acceleration that requires backing from holders of 25 percent of a given bond. That could unleash international court battles similar to a 15-year dispute between creditors and Argentina after it defaulted on its sovereign debt in early 2002. Sources said any legal offensive is unlikely to happen until after Venezuela’s May 20 presidential election, which its main opposition coalition is boycotting on the grounds that the vote is stacked in favor of Maduro. He and other sources said the committee membership was still in flux and that hedge funds with a more aggressive stance toward Venezuela than the institutional shareholders who now dominate could eventually join. The group close to naming an adviser includes 12 of the 15 largest creditors, according to two sources familiar with the matter. The biggest holders of Venezuelan debt include UK asset manager Ashmore Group (ASHM.L), as well as BlackRock Inc (BLK.N), T. Rowe Price Group Inc (TROW.O) and Northern Trust Corp (NTRS.O). Venezuela and PDVSA are in default on a combined total of $52 billion in bonds as a result of failure to make some $2.3 billion in interest payments, according to Thomson Reuters data and local financial consultants. 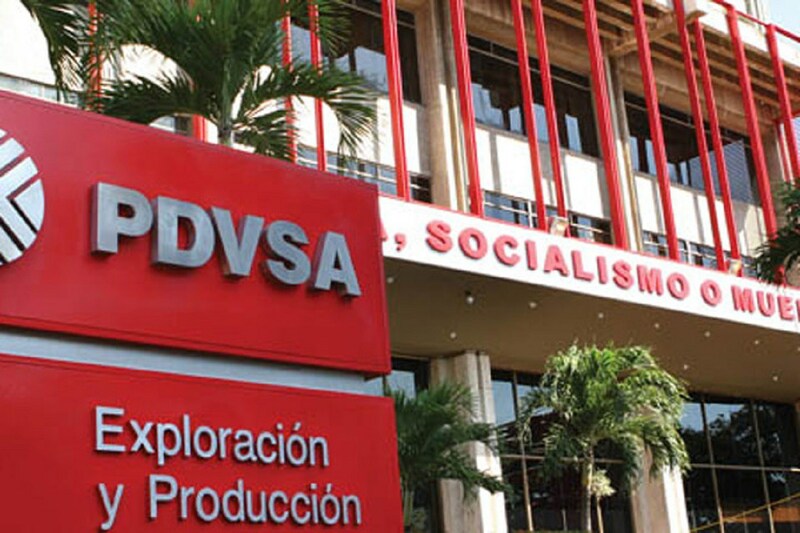 Venezuela this month angered investors by making an interest payment on the PDVSA 2022 bond - most of which were acquired by Goldman Sachs Group Inc (GS.N) - despite being in default on most of its debt. The move to service debt on those securities, dubbed “hunger bonds” in a reference to the country’s worsening humanitarian crisis, has spurred complaints of discrimination from other investors holding bonds in default, according to two fund managers who focus on Venezuela. Maduro’s government had in the past said U.S. sanctions, which do not directly block routine operations such as bond payments, had prevented it from getting some $2 billion in outstanding interest payments to investors. Creditor committees would help push an acceleration, or demand that the issuer pay down the principal, because with the exception of Goldman and the “hunger bonds,” no single creditor holds such a large percentage of any single bond. That means that in most cases, creditors would have to join forces to accelerate. In addition, U.S. sanctions block U.S. citizens from buying newly issued Venezuelan bonds. That effectively shuts down the possibility of exchanging defaulted debt for new paper that matures down the road, which is the most common form of resolving sovereign debt disputes.